Moist and tender, this recipe brings out the best of fresh chicken meat! 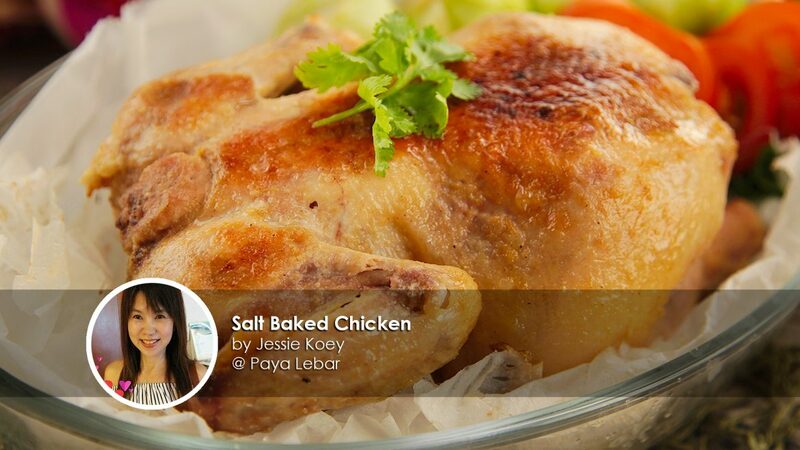 In this Salted Baked Chicken recipe, home cook Jessie Koey shares how it's traditionally made. Ever since the famous salt baked chicken outlet in Singapore closed, we know it's hard for many to find a place to enjoy this Hakka dish. Well now with this recipe, you can make it and enjoy it wholeheartedly with your family in the comfort of home. The 2 most important ingredients in this recipe are the chicken and coarse salt. 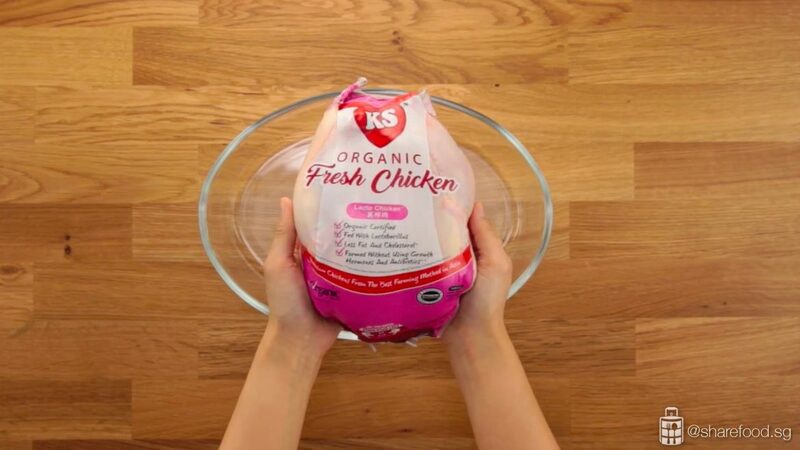 For this recipe, we used Kee Song's Lacto Fresh Chicken as it is organically certified and high in nutritious value! 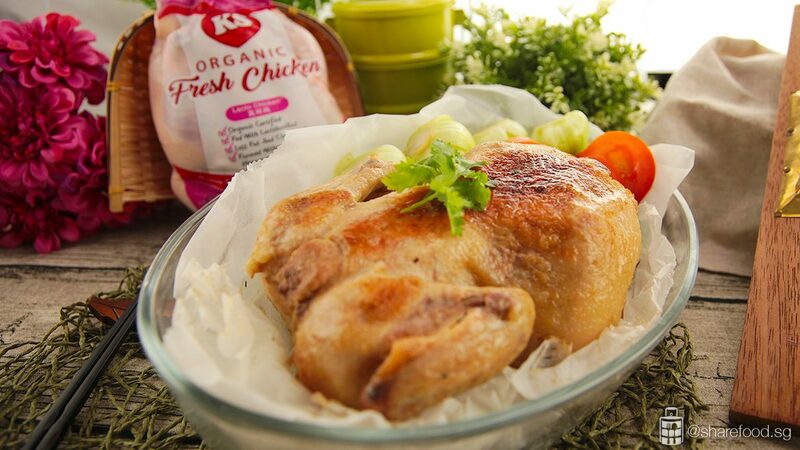 You'll be amazed at the difference when you cook with quality organic chicken as it takes faster time to cook and it's really tasty! The meat has a firmer and silkier texture. The coarse salt is used to cover the chicken completely in the pan/wok. Firstly stir fry the salt for about 30 minutes until it's hot. Heating up the salt helps to retain the temperature and keeps the heat constant to cook the chicken. This cooking process also ensures the chicken is juicy and tender when it's cooked. In this scenario, it's best if you have a large pan/wok. However, if you do not have one, you can use a smaller pan/wok like ours in the recipe. The only setback is that you'll need to remove out the salt to place in the chicken. Other than that it's definitely worth the time and effort. Do be careful and not burn yourself as the salt gets very hot. Would this be your salt bae too? Try this chicken recipe today! 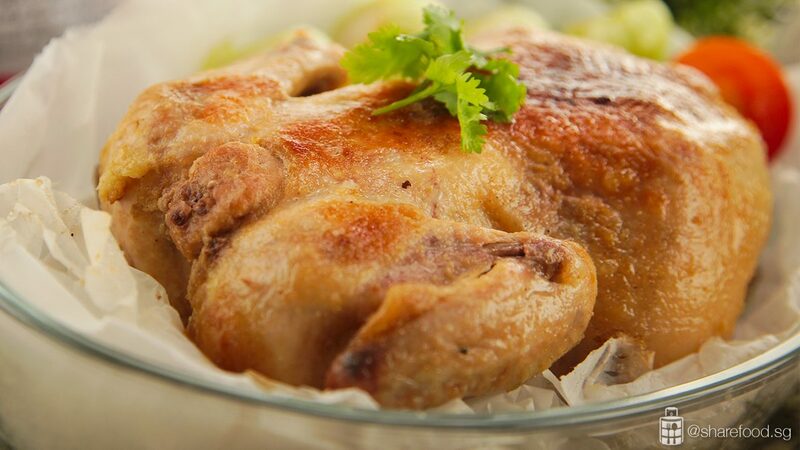 If you're interested in using organic chickens in your cooking, try these recipes: Hakka Yellow Rice Wine Chicken and Coconut Chicken Steamboat. 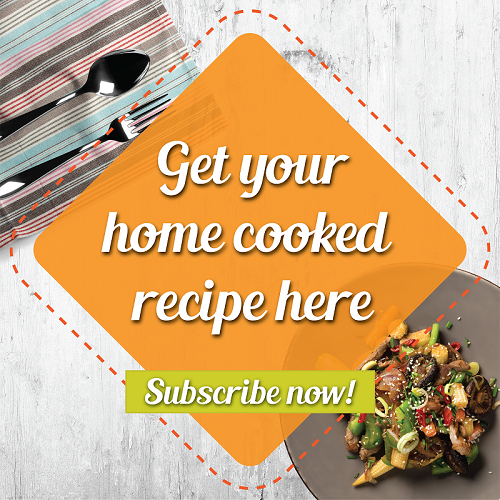 Have a recipe that you would love to share with us? We want to know more https://www.sharefood.sg/submit-your-recipe/! 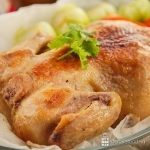 Moist and tender, this recipe brings out the best of fresh chicken meat! In this Salted Baked Chicken recipe, home cook Jessie Koey shares how it's traditionally made. Well now with this recipe, you can make it and enjoy it wholeheartedly with your family in the comfort of home. Clean the chicken and pat dry with paper towels. Spread rose wine over chicken and apply some in the cavity. Combine seasoning ingredients together and rub the mixture over the chicken and in the cavity. Sit the chicken upright for the excess liquid to drip. Leave the chicken uncovered and allow it to marinate overnight in the fridge. Remove the chicken from the fridge, set aside for 2 hours before cooking. Insert the ginger and dang gui slices into the cavity, seal it with a satay stick. Brush the chicken skin with oil and tie up the drumstick. Set aside. Lay 2 large pieces of parchment paper and coat the top layer with oil. Place the chicken on and wrap it securely. Fry the coarse salt in a wok for 30-40 minutes. Cover the pan to heat up the salt. Transfer 50% of the salt into a big bowl. Make a well in the centre and place the wrapped chicken in. Cover the wrapped chicken completely with salt. Leave the chicken to cook. Leave the chicken to cook on moderate heat and remove. 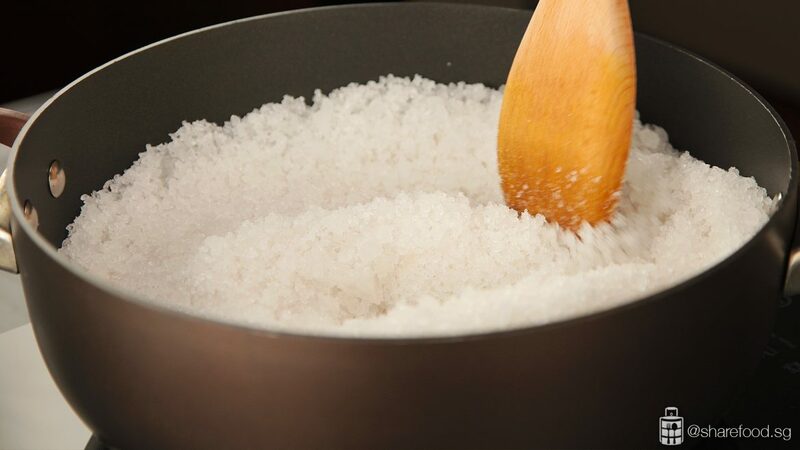 Reheat the salt until it's hot and stir constantly to ensure that the salt is heated evenly. Place the chicken back into the pan the other side down. Cover completely with salt and cook for another 20-25 minutes over low heat. Remove parchment paper wrapping from chicken and discard the stuffing. Serve hot.